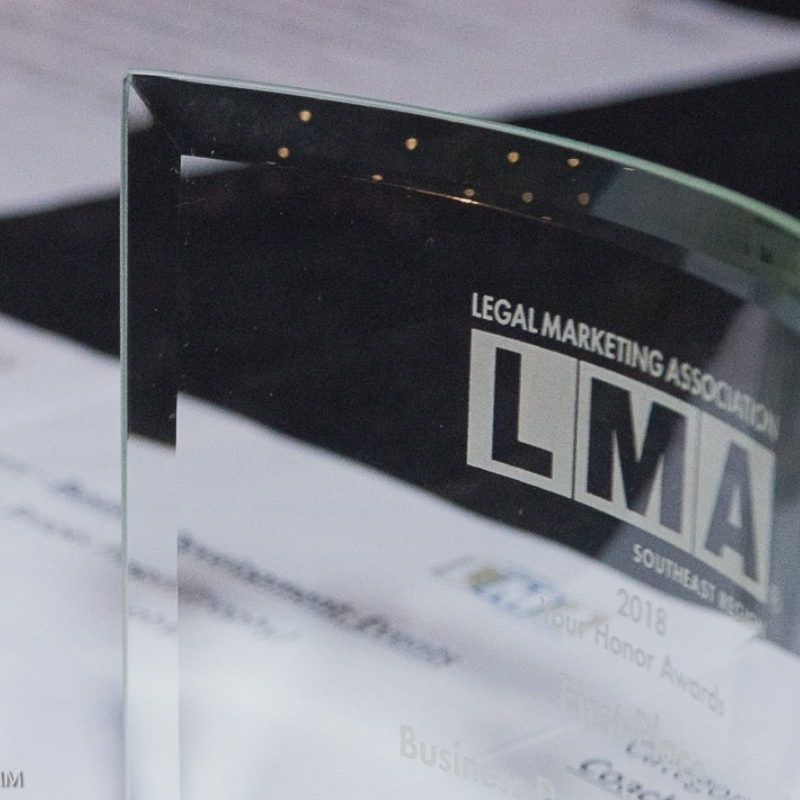 ATLANTA, October 9, 2018– Miles Mediation & Arbitration won first place for its recent rebrand in the Legal Marketing Association’s SE division awards program. Recognized in the Brand Enhancement category, Miles’ rebrand was singled out as the best brand transformation in 2018 among firms in the southeast. Miles’ chief marketing officer, Marcie Dickson, received the award on behalf of the firm at the LMASE annual conference in Greenville. “Miles’ new brand identity projects our organization’s passion and tenacity for delivering innovative and faster results for our clients’ complex and evolving needs,” said Miles. Miles Mediation & Arbitration, headquartered in Atlanta, is an award-winning alternative dispute resolution (ADR) firm that specializes in mediation, arbitration, special master and all forms of dispute management. The firm handles all case sizes and types, including complex, multi-party disputes in areas of business, banking, finance, construction, medical and nursing negligence, personal injury, brain injury, wrongful death, automobile, trucking, real estate, insurance coverage, fiduciary, estate and probate, premises liability, product liability, professional liability, class action, contracts, domestic, education, energy, government, healthcare, securities, and workers compensation. For more information, please call 678-320-9118.